What’s the best VPN for Popcorn Time? We will discuss that later, but now let’s focus more on Popcorn Time and how it works. Since its release in 2014, Popcorn Time, a BitTorrent streaming app, has become one of the most popular alternatives to Netflix available. By just downloading the app, you can watch almost any new movie for free, without wasting your time searching through torrent sites for the best file. With an extensive catalog, high-quality torrents (many of which include closed captions), and no restriction on how many times you can re-watch a television show or movie, it is no wonder Popcorn Time is used by hundreds of thousands of people in nearly 45 countries across the globe. What Can You Watch on Popcorn Time? 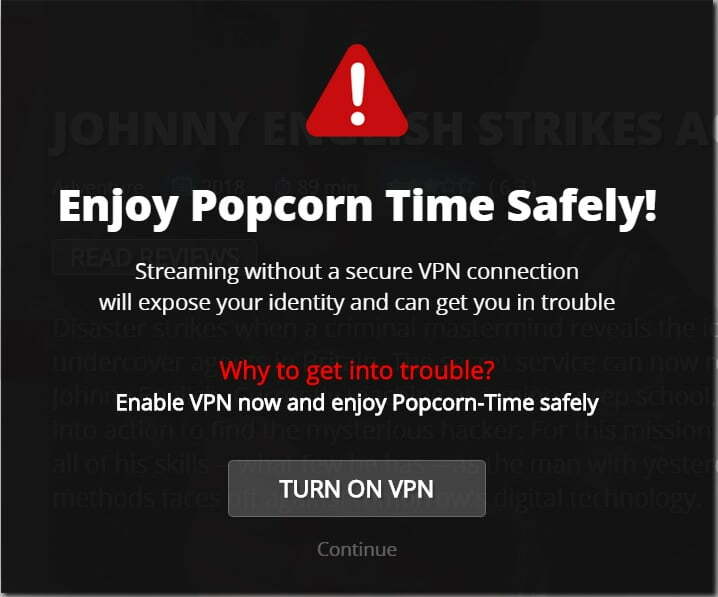 Why Do You Need a VPN for Popcorn Time? NordVPN is our top VPN to use with Popcorn Time and one of the most popular VPN-services on the market, and with all the perks of registration, it is easy to see why. Perhaps the biggest advantage is the high volume of servers, with the app visually indicating which are the busiest. Consequently, users can easily find a server that is light enough to stream or download with ease. In fact, there are even special servers set aside specifically for streaming purposes, making it perfect for use with Popcorn Time. Overall, NordVPN is a great choice if you are looking for a VPN to use with Popcorn Time. Users can even register with a disposable email address and pay using cryptocurrency, offering you a high level of anonymity. 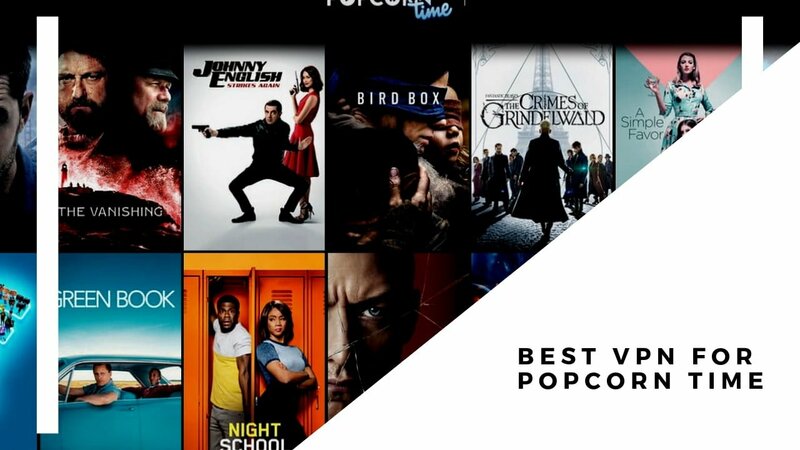 Another top VPN recommendation for Popcorn Time is ExpressVPN, which offers users consistently high download speeds and an easy-to-use interface. Each and every connection is encrypted, and the company ensures that all IP addresses available are shared, offering you increased anonymity. Like NordVPN, and other VPNs on this list, the company never logs usage or monitors traffic. The app is available for multiple platforms, including Windows, iOS, and Android, and allows you to connect three devices at once without upgrading your plan. A live chat is available 24/7 to help with any connection issues. 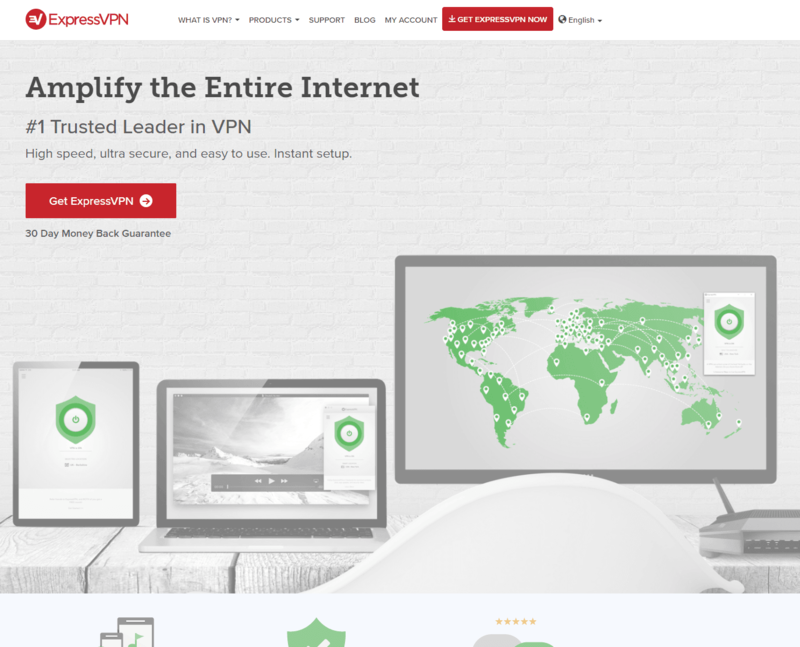 Additionally, ExpressVPN helps offset the monthly subscription cost by offering a referral program. While there is no free trial available, meaning that you have to shell out the money for your plan, they do offer a 30-day money-back guarantee. While ExpressVPN is costly, users agree that it is definitely worth the extra few dollars per month. Heightened security, a built-in kill switch, and a no-log policy mean that you can use Popcorn Time without worrying about the legal implications or having your ISP throttle your connection. Incredibly fast speeds also make it perfect for the unique way Popcorn Time brings your favorite shows and movies to your device. Private Internet Access is a great VPN to use in connection with Popcorn Time, especially if you are budget conscious or looking for something less expensive than other options on this list. An automatic kill switch and DNS leak protection are other factors that make this an ideal VPN to use when watching movies or shows on Popcorn Time. If you have a busy household, this is definitely the VPN for you. With the ability to have five devices connected to the service at once, everyone can watch what they want, when they want to, without being forced to take turns. While Private Internet Access is based in the United States, normally a risky thing for a VPN provider to do, the company has yet to compromise the security or privacy of its customers. The main reason for this is that the company does not store any user logs, which means that it couldn’t provide user information to authorities even if it were subpoenaed to do so. Very fast cancellation and refund policies. Though it has fewer bells and whistles than other VPNs, Private Internet Access is a great choice to use with Popcorn Time. Its low price, fast speeds, and private connection let you watch your movies seamlessly without worry. Read the full Private Internet Access review here. Popcorn Time is a great way to stream movies to almost any device. Thanks to its user-friendly interface and the wide selection of television shows and movies available, there really is no easier or better way to enjoy an old classic or discover a new favorite. Connecting to a VPN before opening the app gives you even more comfort, letting you watch anything you want without fears of violating copyright law or having your download speeds throttled by your ISP. Popcorn Time relies on peer-to-peer streaming to deliver the most popular movies and shows to its users. Once the app is downloaded to your device, you can start searching for television shows or blockbuster films. When you find the one you want to watch, simply click the link and it starts playing automatically using the in-app media player. Behind the scenes, the torrent is being downloaded to your device, in sequential order, from other peers using the same service. The files are downloaded to a temporary folder. They remain there until you restart your device, or unless you opt to keep the downloaded file for later viewing. The app is available for numerous devices, including Android, Mac, Windows, iOS, Linux32, and Linux64. As a torrent streaming service, Popcorn Time relies on movies uploaded by YTS, with new titles constantly being added. You can visit the YTS site to get an idea of how many movies are available for you to choose from. While YTS specializes in the biggest blockbusters, often having torrents available while the films are still in theatres, you can find thousands of titles, including indie classics. When it comes to television shows, the service gets its torrents from EZTV, KAT, and RARBG, giving you access to old favorites as well as shows currently on the air. Popcorn Time has high standards and the in-app player does have codec limits. As a result, not all episodes are available through the app for all titles. This does mean that the ones available stream perfectly, with clear audio and video. Most of the titles available are in English, however, dubbed features are being constantly added. In addition, Popcorn Time has a very devoted community of contributors, who frequently upload subtitles in a variety of languages. While the act of downloading and interacting with the app itself is not illegal, peer-to-peer torrent streaming is legally questionable in many countries. In the last five years alone, there have been numerous lawsuits launched by major film studios against ordinary citizens for downloading or sharing files. Some of these lawsuits have even been against Popcorn Time users, with complaints listing details like the user’s ISP and IP address. Using a VPN before interacting with the app hides your real IP address, giving you the privacy you need to safely use the app. Even in countries with a permissive attitude towards torrents, a VPN can be extremely useful. Some ISPs have been known to slow down your connection if they suspect you are downloading or uploading a large file. Using a VPN hides your traffic from your ISP as well, resulting in improved speeds. Masking your IP address has a ton of other benefits as well. If you live or visit a country with restrictions on the type of media you can consume, a VPN helps you work around those blocks, giving you access to a wide range of content, not just state-sponsored information. For the average person, a VPN can be used to stream or download your favorite shows on other platforms and to get around location blocks. While Popcorn Time does have an in-app VPN, it is in the beta stage and may not be reliable. As a result, it is best to do some research and find a third party one. This gives you the freedom to use the VPN anytime you want, while also guaranteeing safety and security. While there are free VPNs out there, it is never a good idea to use one. For starters, there are usually restrictions about bandwidth and download speeds, dramatically affecting your ability to stream movies and television shows. Additionally, you are not going to get the same encryption and security that you could with a fee-based service when you opt for something free. This means that your information could be logged, and available should law enforcement or your ISP want to know what you were up to while you were using the VPN. Alternatively, the VPN service may even turn around and sell that browsing data to advertisers. While this sounds like an extremist fear, a recent study found that nearly 75 percent of free VPNs engaged in this behavior in 2016 alone. Another danger of using free VPN services is that your own IP address could be turned into an endpoint. This means that your IP address shows up on service logs, which is the very thing you are trying to avoid. Even worse? Your IP shows up in relation the user who received your IP as their masked address – leaving you on the hook for someone else’s activities, not your own. To stay safe while using a VPN, it is best to look into fee-based services. Most of these companies are reputable, having been around for a few years without any major privacy incidents. Fee-based services offer you more security, improved speeds, and access to multiple locations across the globe. This all leads to a much better streaming experience. If you have just downloaded Popcorn Time, or are looking to upgrade your VPN service, start your search by investigating the services listed below. While each offers you slightly different drawbacks and advantages, they are all highly recommended for use with Popcorn Time.